Learn how to use fun activities that help participants develop their skills and strokes. By the end of this workshop, you will know how to introduce, deliver, build and manage fun activities in swimming lessons. 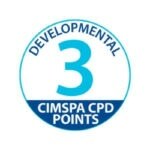 This CPD is aimed at Swim England Level 1 and 2 swimming teachers.